HIGH PERFORMANCE & UNCOMPRISING POWER SUPPLY. Sony SUM3-NUP4A (AA)size battery provides you with a mobile source of power that makes many modern conveniences possible. This portable power pack gives you optimal performance for everyday applications. Innovative and distinctive blister design serves great for shop-front shelf impact. The batteries are perfect for electronic games, toys, alarm clocks and torch lights. High-quality and durable, Sony carbon zincbatteries are renowned for providing long-lasting power. 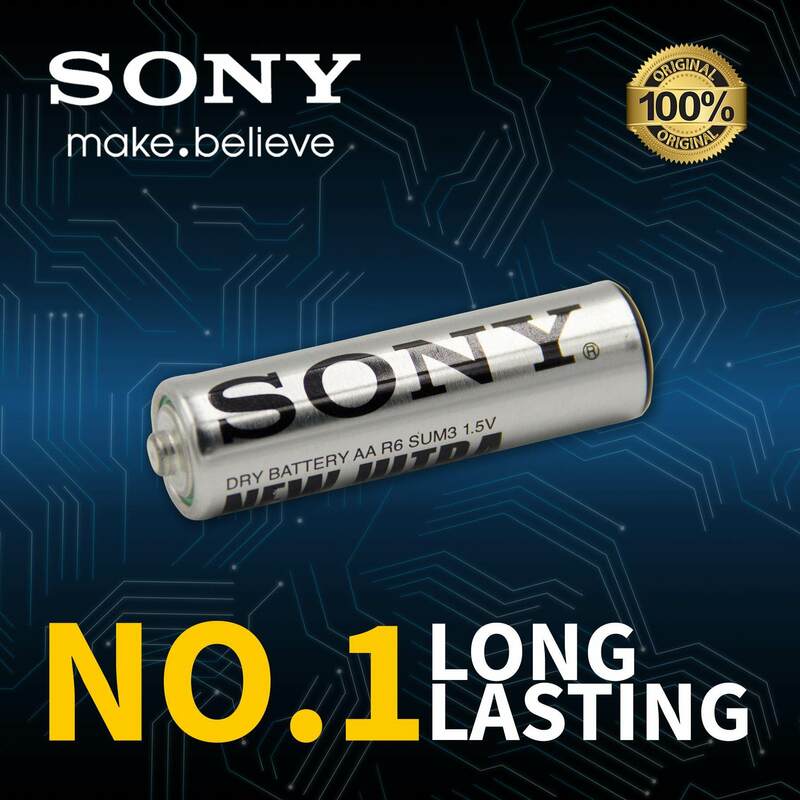 You’ll find a range of Sony batteries in our online store and we sell them at low prices, so you’ll be able to keep your compatible gadgets going for less than you may expect when you shop with us. We supply Sony carbon zincbatteries in cost-effective bulk packs, so you could make some great savings by buying your Sony cells from our online shop. HIGH CAPACITY WITH 3 YEARS EXPIRY TIME.